Women expect to have symptoms like bleeding, pain and cramping during their menstrual cycles. But there is evidence that some symptoms can be lessened by ingesting fish oils and cod liver oil in particular. This oil, that is made from codfish livers, has important ingredients for overall health and especially for women’s quality of life. Eating cod and other fish is the ideal solution, but there are capsule and liquid cod liver oil supplements too. During menstruation, pain and uncomfortable contraction of the uterine muscles is common. Yet, the pain can get quite severe and be accompanied by other symptoms like heavy bleeding. The term dysmenorrhea refers to cramping that accompanies one’s menstrual cycle. Secondary dysmenorrhea is more severe and might be caused by abnormalities like fibroids. According to a study published in the “American Journal of Obstetric Gynecology” in April of 1996, omega-3 polyunsaturated fatty acids found in fish oils like cod liver oil lessened symptoms in female adolescents affected by dysmenorrhea. Menorrhagia means heavy menstrual bleeding. To qualify as true menorrhagia, the bleeding must be severe enough to affect everyday activities and limit your ability to function. Many remedies exist for treatment of this condition depending upon the cause, such as iron supplementation or endometrial ablation which involves destruction of uterine lining. Additionally, supplementation with omega-3 polyunsaturated fatty acids can reduce symptoms like pain and bleeding. In a study published in the “European Journal of Clinical Nutrition”, a low intake of fish products was found to increase menstrual pain along with other symptoms. Cod liver oil is rich with omega-3 fatty acids. These are difficult to get in one’s diet without supplementation if women do not eat fish on a regular basis. 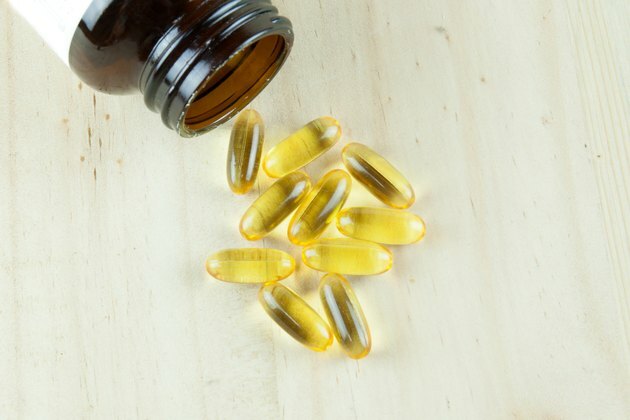 Additionally, cod liver oil is a great source of vitamin D. If you are unable to be out in the sunlight, vitamin D supplementation could be required for good health. Cod liver oil also contains Vitamin A. For women with irregular periods or symptoms like heavy bleeding, women to women’s website recommends supplementation with a fish oil. Cod liver oil with added flavors like lemon or orange are well tolerated by most individuals and pose few risks if dosage recommendations are followed. Does Primrose Oil Help Menstrual Bleeding?